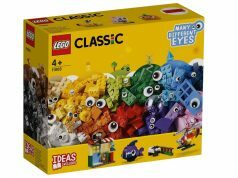 A lot of you who have purchased the LEGO Classic Bricks on a Roll (10715) from Walmart in hopes of getting the free collectible booklet have asked whether others have gotten it or not even though they’ve submitted their receipt weeks ago. I’ve seen one or two images of the booklet online but the majority of readers who have contacted me have not received theirs at this time. For me, I submitted my receipt on January 30 and haven’t gotten anything back so far. I’ve emailed customer service and they’ve escalated my case to an “account manager” to look into it. I’ve had others who have emailed in who have also contacted customer service and they stated that the booklets are actually shipping out today, February 26. I’m not sure if this is the case for everyone but it’s worth contacting [email protected] to see what’s going on. Thanks to Fergus for the update on this. 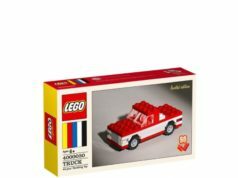 In similar news, there’s only two days left to purchase the LEGO Classic Bricks on a Roll (10715) to be eligible for the booklet if it ever releases. Overall, it’s been somewhat short of a disappointment of how LEGO/Walmart has handled this 60th anniversary promotion so far from this booklet issue to the release of the three limited edition sets. Hopefully there’s still something up LEGO’s sleeve for the rest of the year.